Still waiting on the RN-XV WIFI module from Sparkfun. It is in stock from Digikey but I ordered two other things from the people at Sparkfun so am awaiting the full order. I did pickup a cheap laptop IDE cable to make up a connector for the back of the Vantage (someone else noted it has the correct pin spacing). One laptop IDE cable can make up 4 connectors for the expansion connector so plenty to practice with and cheap too (a spare or Ebay). I did pickup a cheap laptop IDE cable to make up a connector for the back of the Vantage (someone else noted it has the correct pin spacing). One laptop IDE cable can make up 4 connectors for the expansion connector so plenty to practice with and cheap too (a spare or Ebay). So you are taking a Dremel to the laptop cable connectors or you ordered new connectors? The flat ribbon cable itself is the right stuff (1mm pitch), but the connectors on the laptop cable will be way too wide. An exacto knife and patience will cut the connector to the required 20 pin (2X10) size hence 2 of the right size connectors per end of the IDE cable. I also pulled out the unnecessary pins from the resulting connector to minimize chance of a short. Well we have made a bit of progress on connecting a RN-XV WIFI module to our VP2. The module will now boot up and connect to our home wireless network access point. From the wireless connection we can access the module and send internal commands to it. Still trying to figure why we can't read the serial data out of the VV2 yet. We may be messed up somewhere thought we are pretty sure TX and RX are connected properly and the expected baud rate is set to 19200 8N1. We will play around a bit more today to see what our problem is. All right success! Looks like we had a bad connection on either the RX or TX pins at the VP2 with one of our modified laptop IDE cable derived plugs. some set up frustration plus patience and time will add WIFI connectivity to the VV2. Outstanding job, gwynethh! It would be interesting to see if multiple PCs trying to access the console at the same time cause any problems. If the messages back and forth are short enough, I'm theorizing that it just might work: the RN-XV's TCP-IP stack might keep everything straight. But what I know about networking could fit on the head of a pin. I'm still trying to understand how the serial connection works with these gadgets. 1) Would it be possible to establish a connection on a remote computer, miles away away from the console? 2) Is the connection 'broadcast' to everyone or just to a specific IP address? 3) What software do you need to connect on the client side? 1. I'm way not sure on this but as far as i can tell so far, the RN-XV acts just like any client on a wireless network so if you can remote access your router you should be able to obtain the data from the RN-XV. 2. The RN-XV connects to a wireless router in a manner typical to other WiFI devices (e.g. a laptop). 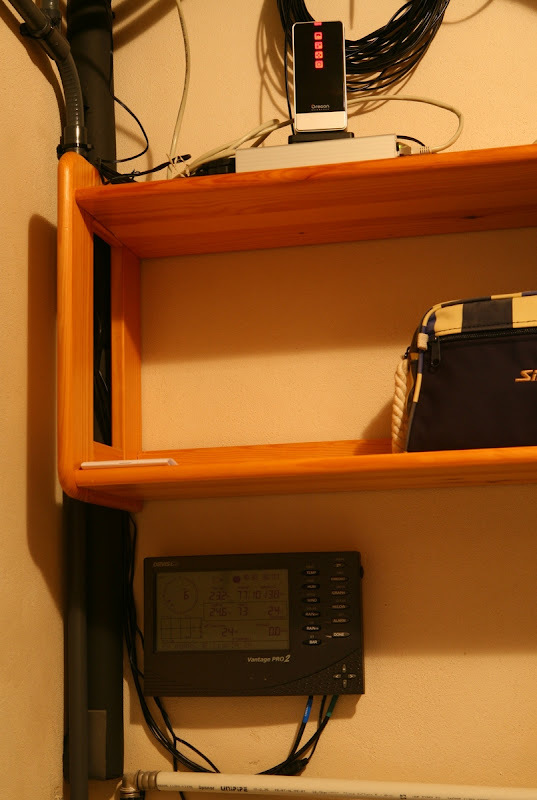 During the initial XV setup (in Adhoc mode) you can assign a wireless channel (saves scanning time), the SSID to try to connect to and the security of your router (e.g.WEP-128) along with needed security phrase or code. The IP address is obtained via DHCP (?) during the connection process to the router and can be seen in your router status. 3.When setting up the XV I used a laptop with win7, running TeraTerm (free). For remote weather display I am using the last release of Cumulus though I'd guess any weather client that allows TCP/IP connection would also work. As for the "how" the serial connection works in detail that is beyond me. I hope I haven't confused you as my knowledge of the XV is just enough to work through the manual and after a bit of trial and error was able to succeed. I will try that this weekend by also trying to run Cumulus (at the same time as running Cumulus on our main PC) on my wireless laptop. Should be interesting. Looking at the data sheet and user manual (http://www.sparkfun.com/products/10822) I see that this is a bit different than I imagined. Instead of setting up a web server on port 80 (needing a client-side piece to communicate with) it merely sets itself up as a client on its own WiFi network at 169.254.1.1 port 2000. So it should be easy to set this up remotely, so that you can connect to the virtual com port from a remote computer by using the 'port forwarding' feature of your router. I recall there was some interest a while ago about setting up the Davis weather station at one house and then accessing console serial at another house miles away. This should do the trick. It also seems to have a fairly high bandwidth (450kbps). I have another sensor application (detecting lightning sferics in the VLF spectrum) which has audio bandwidth. Looks like this little gadget (which also has some built-in 'analog-to-digital' converters) could sample and send the data to a nearby access point to my spectrum analyzer. Uses a 32-bit Sparc processor, so plenty of signal-processing muscle power. Are you are referring to the default Ad Hoc connection address (necessary for initial configuration)? After configuration it will connect to any wireless Access Point (AP) on a address determined by dhcp and port 2000 (and SSID and security). My ignorance of these matters is exceptional so I will defer to those of you are more knowledgeable. Party On. > Are you are referring to the default Ad Hoc connection address ...? Yes, it seems to support several connection modes, all useful for various purposes. Comparing the RN-XV board to the similar one by Seeed Studio, I think the RN-XV wins because it's cheaper and offers more performance (32-bit Sparc vs. 8-bit Atmel), even though the Seeed is open source and provides all the hardware specs for tinkerering etc. I'm no network guru but know a little bit about this socket-level stuff because years ago I was forced to write my own client/server routines (in C) because all the fancy object-oriented frameworks weren't available. No luck with multiple PCs accessing the base at the same time. The second instance will not connect and will cause the first instance to error out. Maybe someone with more wireless router savvy could cure this but a no go for us. Update. By playing with the "Discon Period" and restart settings in Cumulus we got two instances of Cumulus running on different PCs though they might cause a restart of each other if the data requests overlap/collide. Yeah, that's the problem. You are still connected via serial (a point to point protocol), even though you are using a multipoint protocol to do it. If you want to run multiple programs on the same console with this lash-up, the best thing to do would be run Virtual VP connected to the console via wireless on one machine, and then have the other computers or programs connect to VVP. So I finally got the FTDI Basic part from Sparkfun, and had a good friend of mine, Jax, but together the DIY dongle. My hands sometimes are not good for fine work so sometimes I leave it up to him! He used a hard drive IDE cable from a G3 Ibook, that he removed the ribbon cable from, a cut up piece of IDE cable from a desktop computer, and good old glue gun glue to do the job. I didn't need it to be super fancy. 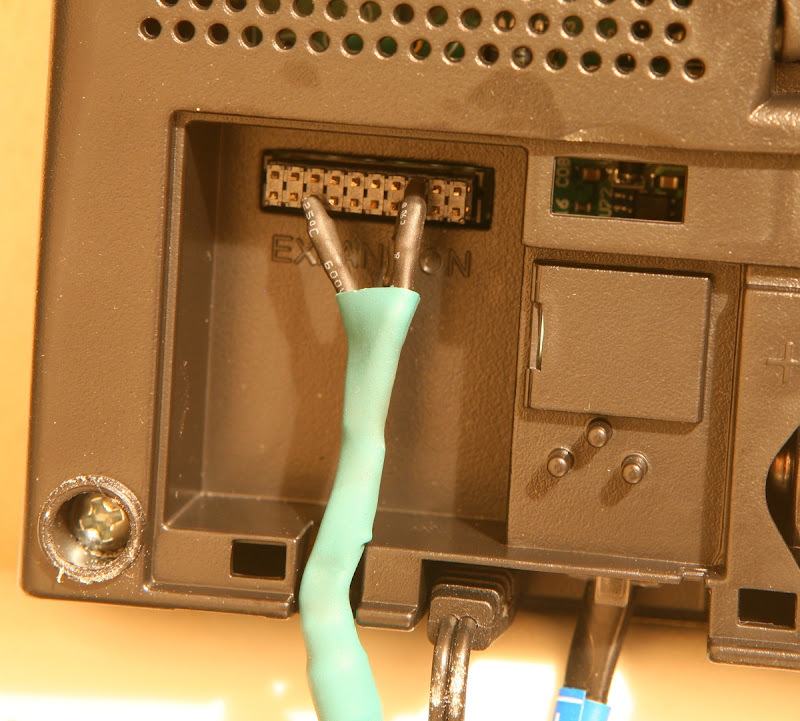 He used the red wire of the IDE cable to signify Ground, so I knew which way to plug it into the console. A first test via Mincom showed no results. I was a bit disappointed, after all it is a pretty simple set up. Jax tried it out on his nifty pocket PC with Hyperterm. He bent a wire and stuck it in the connecter to join RX and TX, and after turning off Hardware Flow Control, he had it echoing back what he typed. Sure enough after turning off Hardware Flow control on my Minicom, I was talking to the Davis Console instantly. What a great feeling to see random data spitting out at you! I want to thank Dekay for the information you provided the world free of charge. A thanks to af4ex for the pictures to help us along. A thanks to everyone else for their stories of struggle and success. I would also like to thank Jax for his young hands - he is a great kid and has some neat projects at - http://www.jax184.com (the least I can do for him). My next post will outline my work with Free and Open Source software to do something with all this data. Hopefully I will have a link to share for my live web feed of my weather station data. Turnip, good to hear that you have a working interface. Thanks for the photos. Keep the data flowing! A couple of months ago, and thanks to this forum, I was able to connect my Davis without a data logger to a computer. I used the FTDI cable (http://www.sparkfun.com/products/9717) and SAMTEC connector (http://www.samtec.com/ProductInformation/TechnicalSpecifications/Overview.aspx?series=ESQT). It is been working now since 25th September flawlessly. You can see the weather station online at http://www.puigsegur.cat/meteosantjoan/24hours.html and also in Weather Underground (http://www.wunderground.com/weatherstation/WXDailyHistory.asp?ID=IIBSANTJ2) and PWS (http://www.pwsweather.com/obs/SANTJOAN.html#). Nice job iamturnip, and you are welcome. Looking forward to seeing your contribution. They all add up. Jax's site is pretty cool. I skimmed his resurrection of the NeXT cube this morning and was very impressed: you should suggest that he submit that to Hackaday. I'm hoping you might have another project to get him working on in the coming weeks, so keep his phone number handy. A couple of months ago, and thanks to this forum, I was able to connect my Davis without a data logger to a computer... It is been working now since 25th September flawlessly. A nice, clean job there Neulos. I should have sold this design to Davis, given the problems some people have had with the off-the-shelf USB interface. I haven't heard of anyone losing a single bit of data so far with the DIY version. I shall be posting images of my setup in a few days, I have found a company in the UK that will give me (free, gratis!) 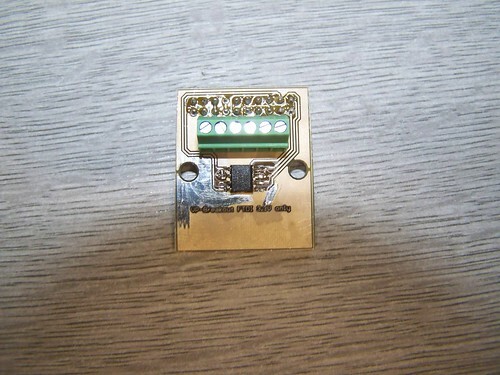 bare PCBs so I have fitted the breackout 20 pin header to a FTDI cables that I bought off Ebay for £12, and the people at Harwin were nice enough to give me free samples of the 20 pin connector! Well so far I have had the best luck with wview. I tried out weewx first but was having some minor issues with it. The only reason I abandoned weewx is the "apt-get install magic" of wview. As a Debian user I will always favour a package that is part of apt over a hand built option. The good news is, the home made connector communicate real time data to the wview no problem, but there is a downside. I would like to point out at this time that the home made versions we are building here do not have an archive buffer between the console and a computer as the Davis part does. This buffer as far as I understand from poking around is what a piece of software like wview uses to build its archive data from. There is a post from another user related to this on this forum here - http://www.wxforum.net/index.php?topic=13034.0. I am hoping to hear back from him on this issue. I have not exhausted all open source software programs yet, but might be forced to if I cannot resolve this issue. wfrog looks interesting, but I I don't really like the html layout that comes default with it. I can confirm that wfrog works with this type of setup. I am one of wfrog project leaders and I've got a Davis connected to a Alix 3D2 board using a FTDI cable and running voyage linux and wfrog (see the link below). wfrog only expects Davis basic events (every two seconds) so it doesn't need the datalogger. I understand that you might not like the default html setup. With good knowledge of html it shouldn't be difficult to change (it is based in cheetah templates). I would like to point out at this time that the home made versions we are building here do not have an archive buffer between the console and a computer as the Davis part does. This buffer as far as I understand from poking around is what a piece of software like wview uses to build its archive data from. I have a working logger clone with archive facitilty that should work with the Davis Vue. Thank you for the confirmation that wfrog works with my setup. I will certianly give it a try tonight. I suppose I should clarify my html statement. I do like the simplicity of it, but I found some of the graphs harder to read. Perhaps looking at my own data first will help me navigate them better. But you are right, with some knowledge of coding I can change it to my liking. Oh how I love the hacker-DIY community. This is fantastic belfryboy! Would you be open to sending more information on your prototype? I never thought getting a weather station would lead to so much learning and fun! On a side note, my station survived its first wind storm here, but it was a baby one (top speed 51km/h) compared to what we will get in the season, usually at least one good storm with 80 - 110km/h gusts. I've been thinking about all these wifi tablets, some of which are running cell phone like mobile app software, pricing approaching less than $50 for a 7" no-name tablet, would make great secondary consoles in other rooms of the house. What I'd like is to buy two or three of these cheap tablets, stick them on the wall, one in the bedroom upstairs and one out in the garage/workshop. The only purpose would be to run something like Cumulus to display what I can see at my Davis console in multiple locations. Right now my option is to buy multiple Davis consoles, they are pricey. This discussion appears to have most of the pieces of the puzzle, make a cable/converter to plug into the Davis console, pluck out the data and put it on my local wifi net. Then find something like Cumulus that would run on the cheap tablets, or an App someone has designed to run on the I-Phone or Droids or some such wifi enabled cell phone devices, figure out how to let multiple units tap the data without stepping on each other. Could be a real money maker for you guys. A lot of amateurs buying Davis not to put up a broadcasting weather hub but for the quality of the station. We want extra consoles that don't cost an arm and a leg. Search for the threads on the Kodak WIFI picture frame. Solved. Is it possible to somehow get the logging and wireless capability together?